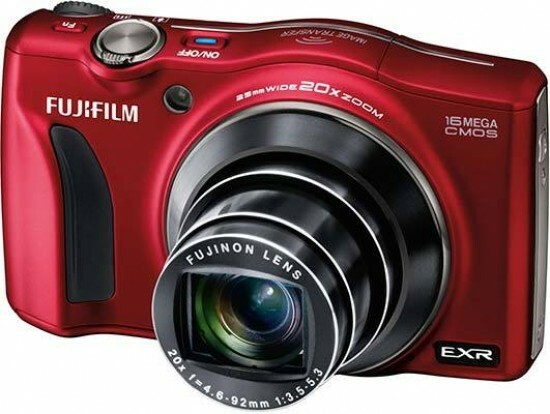 Reviews of the Fujifilm Finepix F800EXR from around the web. Fujifilm isn’t shy when it comes to turning out releases in the travel zoom compact camera market. The FinePix F800EXR - which succeeds the F770EXR by adding wireless image transfer functionality - looks on paper to be an affordable, well-featured compact. We thought its predecessor had one or two issues and lacked some "must have" features. Can the F800EXR right those wrongs? The F800 is an update to the F770EXR but removes GPS, and replaces it with Wi-Fi for wireless transfer. Upon connecting the camera to a mobile phone, it's possible to GEO-tag the photos using the GPS from the smart phone.